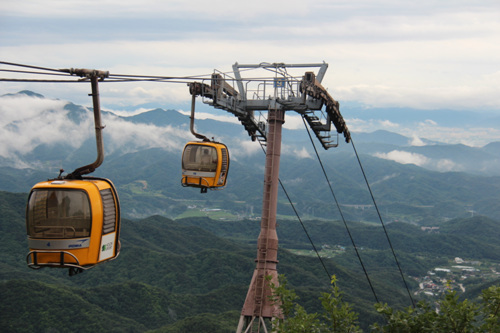 Palgongsan Natural Park (Gatbawi District) is centered around Palgongsan Mountain, one of the larger mountains in the Taebaek mountain range. 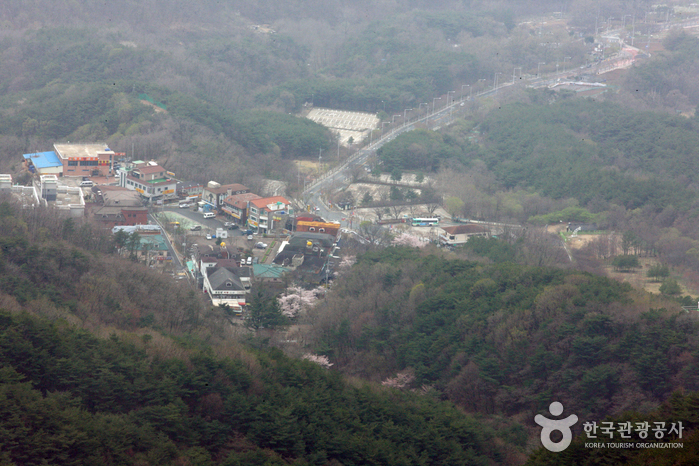 Palgongsan Mountain is located 20km northeast from downtown Daegu, where Nakdonggang River and Geumhogang River meet. 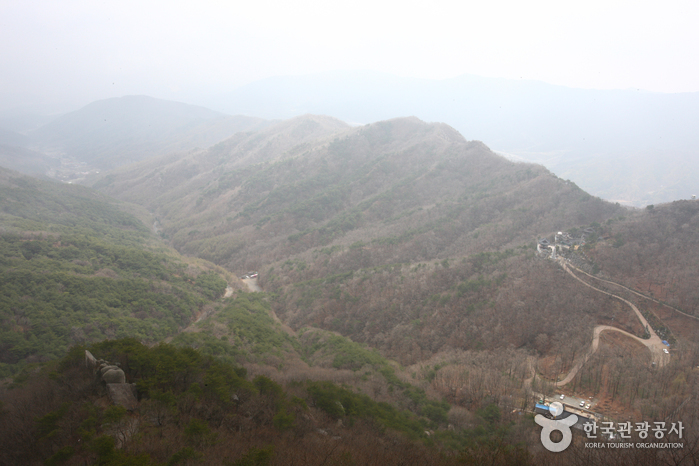 The mountain has three peaks in a row: Birobong Peak in the center and Dongbong (aka ‘Mitabong,’ 1,155m) and Seobong (aka ‘Samseongbong,’ 1,150m) on either side. 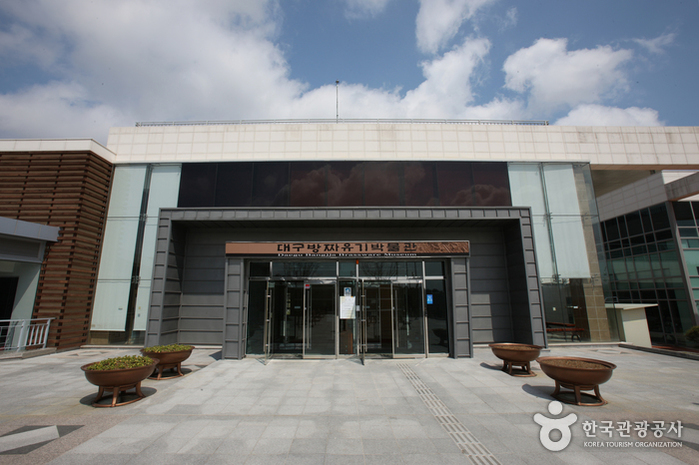 In terms of administrational district, the park (30.593㎢ in size) is within Dong-gu, Daegu and has four towns along its border including Yeongcheon-si, Gyeongsan-si, and Chilgok-gun. 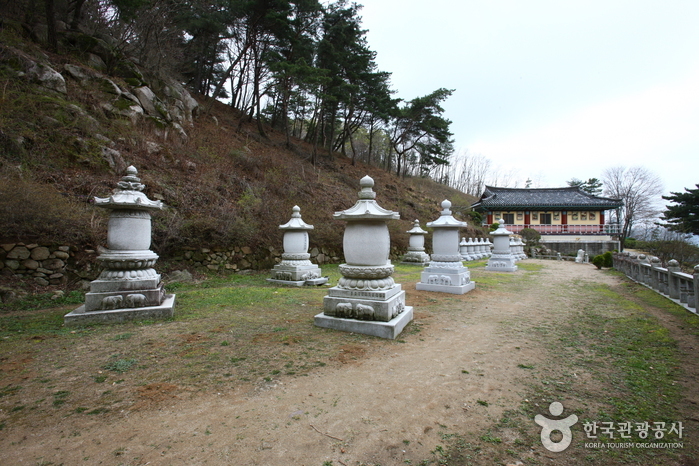 A number of Buddhist temples including Donghwasa, a headquarters of the 9th Buddhist Parish, are located in the area. 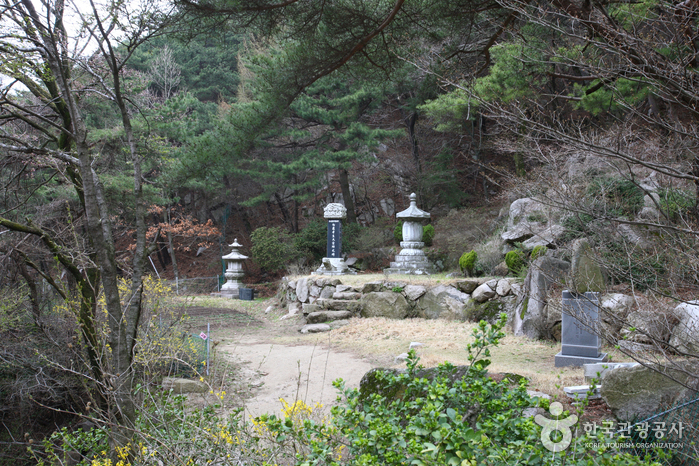 The park has numerous rocks and valleys and is carpeted with azaleas in the spring. 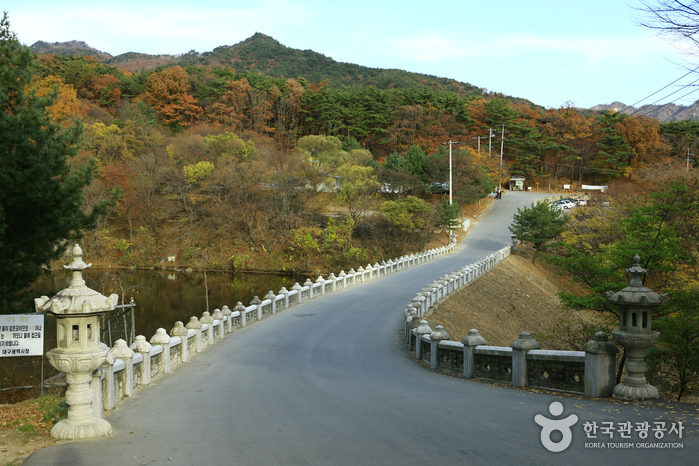 In the autumn many visitors flock to the park to admire the falls leaves on the trees lining the 16.3km-long road through the park. With vibrant green leaves and a delicate snowscape in the winter, Palgongsan Mt is an attractive destination for visitors throughout the year. 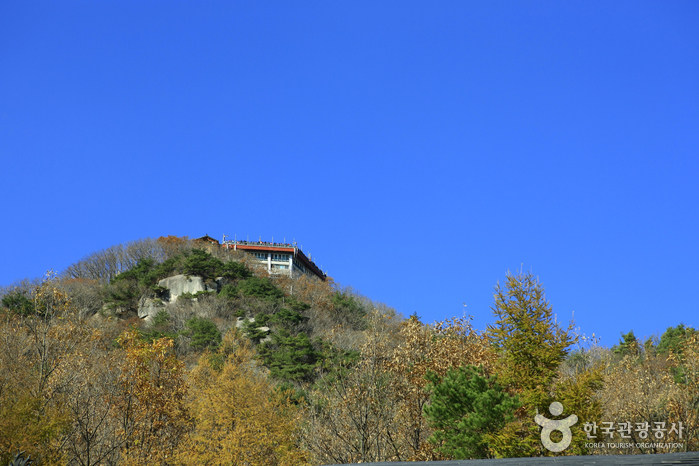 ‘Gatbawi’ is a statue of Buddha that sits against a rocky cliff of Gwanbong Peak that rises 850m above the sea level. The name ‘Gatbawi’ comes from the fact that the Buddha has a flat rock (‘bawi’) on its head that looks like a Korean traditional hat (called a ‘gat’). The statue, designated Treasure No. 431, is one of the most sophisticated Buddha statues of the 9th Century. Legend has it that the statue grants honest prayers, so every year at sunrise on New Year’s Day people flock to the Buddha statue to make a wish for the new year and see the rising sun. To prevent forest fires and protect the natural resouces, certain areas are closed from Nov 1 to May 15. * All trails not listed as closed are regulated. * The park may be closed at other times depending on the possibility of mountain fire. Please check the official website before visiting. 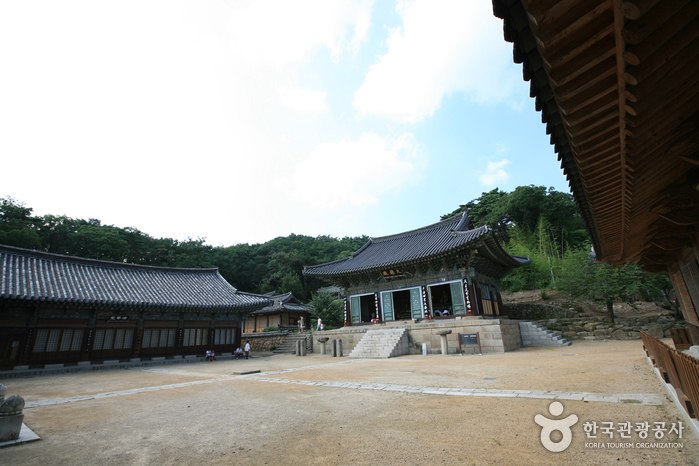 Take Bus 401 or Express Bus 1 (급행1) and get off at the entrance of Donghwasa Temple (동화사입구).